What about occupants who have vision impairment corrected by lenses who may not have them on in a middle of the night fire? Are there walkers or wheelchairs that can’t fit through certain doors? How do you keep track of which occupants have special needs? What about occupants who may have had a change in abilities? What about occupants who have unrealistic expectations about their own abilities or who may not experience a substantial impairment until an emergency occurs (such as smoke inhalation triggering asthma)? What is your process for confirming that everyone’s safety needs are being adequately met? Thinking about fire safety in broad strokes reveals that accessibility is an issue that directly impacts all of us. Even people with similar disabilities may not need the same type of support. Consult people with disabilities and include them in their own evacuation plans. Technology can help bridge the gap for people of different abilities. Strobe light alarms provide a visual cue for those who can’t hear an alarm going off. There are also special alarms that emit low-pitched sounds for people with mild to severe hearing loss. Other options for hearing impaired occupants include vibrating pagers, vibrating pillow pads, bed shakers and scrolling message displays. For people with vision impairment, it’s important to walk through all the escape routes. There should be at least two paths of escape from every room. Make sure the route is static — no moving furniture into the established path. Also, because they are relying heavily on their hearing, the constant sound of a fire alarm can be disorienting for the visually impaired. It can be helpful to adjust the alarm sequence so that it has a pause between alarm cycles, allowing them to hear any instructions. Exit paths (and doors that do not lead to an exit) can be marked with signs that include tactile and Braille to avoid confusion. Mobility-impaired technology includes emergency evacuation stair descent equipment. According to Nicole Cormier of AODA Compliance and Training, a full 10% of the population would have difficulty evacuating by stairs, so plan accordingly. Aside from technology, you’ll want to watch for insufficiently-lit emergency lighting, heavy doors (including power operated doors in a power-outage), and insufficient doorway widths. Make sure residents are familiar with evacuation procedures. Install fire sprinklers, if they are not already present. 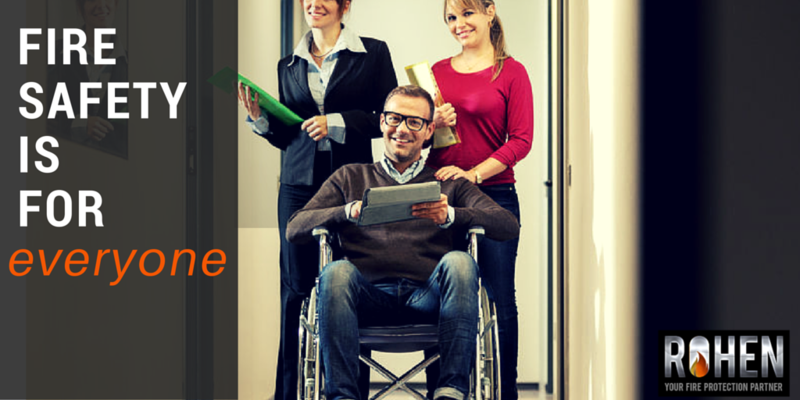 Be aware of which residents need special accommodations and have a plan to accommodate them. 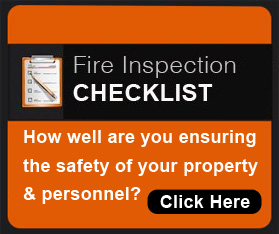 Refer to the NFPA’s Emergency Guide for People with Disabilities. Include employees in safety planning; each employee should know evacuation procedures and participate in fire drills during which you walk through and practice your plan. Have circumstances changed? Re-evaluate your plan if it needs updating. Commit evacuation plans for mobility impaired occupants to writing and incorporate them into your emergency plan. Determine who will be responsible for assisting with evacuation in the event that elevators are shut down. Under no circumstance should an employee or a service animal be left behind during evacuation; everyone should evacuate together. Make sure your plan includes having wheelchairs available to people after evacuation. Train employees and practice the evacuation plan regularly, with all employees participating — especially those with mobility considerations. There is an emergency evacuation planning checklist on page 37 of the NFPA’s Emergency Evacuation Planning Guide for People with Disabilities that can be downloaded here. This is meant to be a refresher on making fire safety accessible, much more detailed information can be found at the resources listed below. In our next post, we will explore considerations and requirements that are specific to the Greater Toronto Area and Ontario in general. Stepping Up On Fire Safety? Image credit: © francesco83 / 123RF Stock Photo, © auremar / 123RF Stock Photo; both modified by text overlay and resizing.